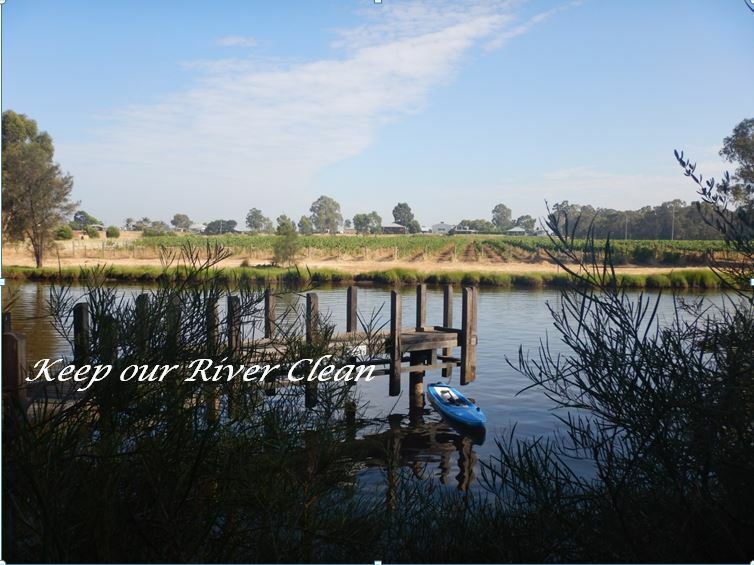 Home / Blog / Keep Our River Clean! “Keep our River Clean” day Saturday 21st April 2018! In June last year one of our members Kevin Bassford collected a bucket full of rubbish whilst on one of his marathon paddles in the upper reaches of the Swan River. We are also confronted with the many posts circulating social media showing the devastation to our oceans from the amount of plastic and rubbish being dumped into our waterways. Needless to say it has to stop and we can at the very least make a start in our own backyard and inspire our community to be better. The River Guardians have generously donated gloves, bags and tongs and these can be collected prior to the date from the Garden Café, 317 Guildford Road, Maylands 0472 979 511. Yvonne, the owner of Perth’s very own GOBOAT will be cruising up and down to relieve you of the rubbish you’ve collected, offer drinks and help anyone in need of assistance if required or just stop and have a chat! Several launch locations have been set out as outlined below and covers the Eastern corridor. You can do as short or as long as you like however we have limited the time to finish within 2 hours. The locations below are just suggestions so if you’d like to start somewhere else please do. Please note that GOBOAT will be operating from the river section between Bayswater, Ascot and Middle Swan, Caversham (Approximately 18kms) in a loop. All participants that check in on the day will go into a free raffle draw to win a funky Starboard paddle donated by Kevin Bassford and other giveaways too. If you’d like to donate a prize please get in touch. As with all events we want to have as much fun as possible! So post up your antics from the day (keep it clean, pardon the pun) and see you all soon! Use gloves when picking up rubbish. The event will be cancelled if not safe due to extreme weather conditions. Here’s what we’d LOVE you to do on the day! Where something “green” and this will identify us as part of the clean-up crew! At 8.30 am on the dot check in to the events page and post “keep our river clean” so people can track our progress via facebook and see who is taking part. Post a photo of the rubbish you have collected onto the events page as you go along or after the event. Give your rubbish to GOBOAT or dispose of it at home or in the council bins provided at your launch location. The event will still proceed if weather is a little drizzly or cool and will be cancelled if conditions are not safe due to storm or lightening. Meet us at the Cork & Bottle for a get together afterwards from 12.00 pm if you are free. No obligation. Wear a belt or bum bag to loop your rubbish bag so you can be hands free or invent your own idea and share with us! Take your time, some areas may have more rubbish than others so don’t feel you have to rush to cover distance. Check the edges of the river bank and beaches which means you may have to step onto land or paddle close to the shore. Rubbish will accumulate here. Look for the small things like cigarette butts, fish hooks, bottle tops etc. If you find a penny pick it up…. If you come across fishing line that is too tangled to release, take a photo and note the location so we can report it to the River Guardians. The launch locations are suggestions only so feel free to start somewhere else if you prefer. This stretch covers 18 kms from Belmont to Middle Swan. There is no pressure on anyone to cover a long distance, 4km round trip is a comfortable distance from any launch spot or time it within 1 – 2 hours. Take note of the comments about some of the locations just in case this affects you. Paddle with Land to your right and cross the river to paddle back to your start point collecting rubbish on each side. Adachi Park, Belmont – Can paddle into the Ascot Wildlife Sanctuary from here. No boats allowed in the Sanctuary. Can be shallow. A short bridge requires crouching to get under. Garvey Park, Ascot – Kiosk. Basic coffee and snacks. Barkers Bridge, Guildford – Some work being done to the bridge but can still launch.